"With PSP's Wi-Fi switch turned on, you simply select a multiplayer mode and the game automatically detects other players in the area." 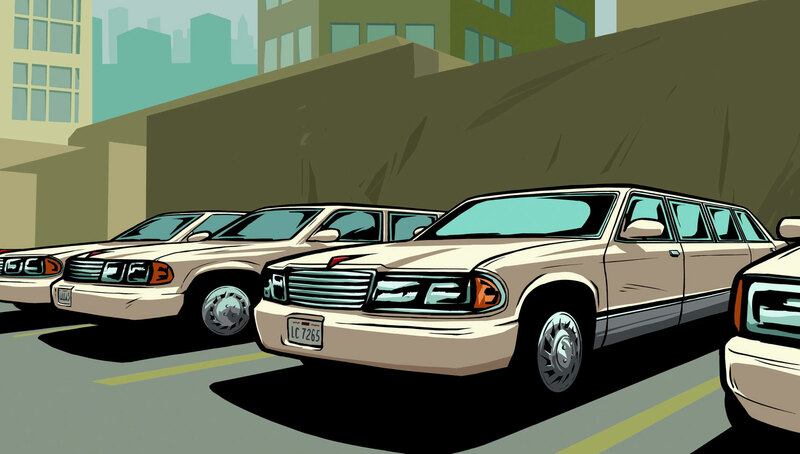 Game modders discovered traces of multiplayer development in GTA3, although the feature was never fully rectified. Three years later GTA: San Andreas was released and featured "co-op", which is similar in some ways to multiplayer, but not the same. As more details of Sony's revolutionary PSP system emerged, we soon became familiar with the term "Wi-Fi". Wi-Fi is short for Wireless Fidelity and enables the PSP to connect to the internet aswell as other PSP consoles, so the possibility of Liberty City Stories featuring multiplayer grew stronger. Finally, on September 30th 2005, 1UP revealed Rockstar's biggest kept secret - multiplayer will indeed be a part of Liberty City Stories. Liberty City Survivor, Protection Racket and Get Stretch are just 3 of the 7 available modes. The thing that makes Wi-Fi so special, is it's ability to connect devices (such as computers and mobile phones, etc.) to the internet and to each other, wihout the need for cables and modems. Wi-Fi signals operate in the 2.4 and 5Ghz radio bands which are also used by many mobile phones. The radio signal connects Wi-Fi enabled devices to the wireless network at broadband speeds. The network operates through base stations called access points (also known as Hotspots) which connect to high speed lines back into the internet. Many newer electronic devices such as the PSP come equipped with Wi-Fi antennas and software. As a result, selecting the Wi-Fi setting on the PSP enables you to connect to the network immediately and it displays all the available Wi-Fi signals in your location. Connectivity speeds depend on the quality of the signal, your distance from the Hotspot and how many people are using that Hotspot at a particular time. PSP uses the standard 802.11b connection which transmits information at a maximum speed of 11 megabits per second. The Wi-Fi signal typically extends to about 150 feet from a Hotspot. But Wi-Fi signals do not transmit well through metal, concrete or buildings. There are seven gameplay modes, each supporting upto 6 different players. You (the player) choose where you want to play, and who you want to play as. However, it's not quite as easy as that. If you want to play in Staunton Island, you must first unlock Staunton Island by successfully completing all of the Portland missions, and similarly, you must complete all of the Staunton Island missions to unlock Shoreside Vale. Whilst doing so, you also unlock new characters. So for example, you start off with nine characters and one island, but by the end of the game you'll have three islands and over 60 characters to choose from. 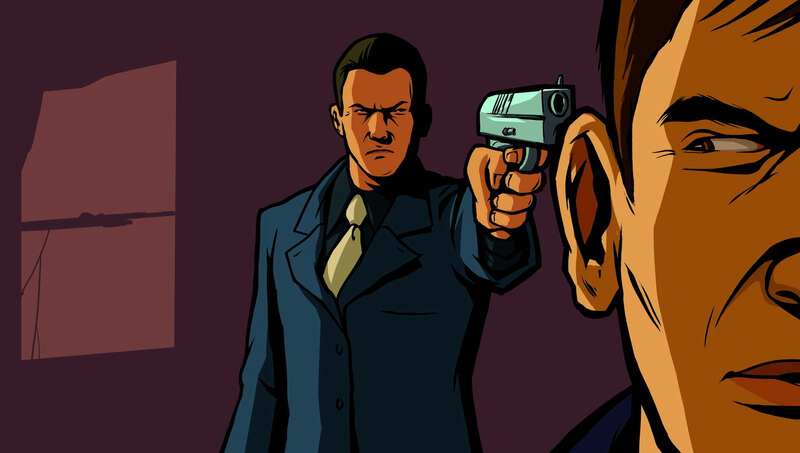 Liberty City Survivor - Every man for himself - kill the other players. The first player to reach the Kill Limit or have the most kills when the Time Limit has been reached wins the game. Killing another player earns you a point but kill yourself and a point will be deducted. Or, team up and kill the opposing gang members. The first gang to reach the Kill Limit or have the most kills when the Time Limit has been reached wins the game. Protection Racket - Love your car like a lady? Would you protect it with your life and some obvious military power? Now you have the chance to prove your commitment, but not just to one beauty, but to four sparkling limos. Destroy four limos at the opposing gang's base. Defend the four limos at your base from incoming Attackers. The game is played in two rounds. Each gang will automatically be assigned in the Defending or Attacking roles. A timer displayed onscreen will measure the time it takes for the Attacking gang to destroy the limos in the first round. Once all four limos in the Defenders' base have been destroyed, the roles of the Attacking & Defending gang will switch and the second round will begin. The time it took for the limos to be destroyed the first round will now be displayed onscreen and will be counting down. 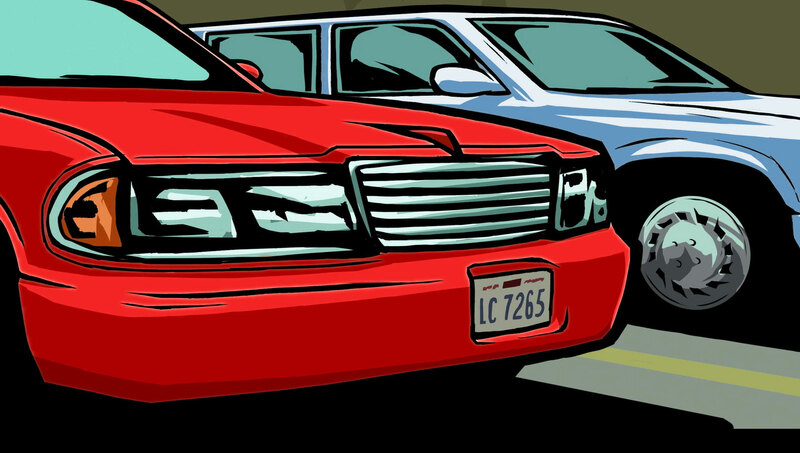 The new Attacking gang must now destroy the limos within this time limit or the other gang will win the game. Get Stretch - I want, I want, I want. Today you desire your friend's shiny new car, unfortunately they also desire yours. Each gang must steal their opposing gang's car and return it to their own base while protecting their own gang car from being stolen. You can return your own gang car by driving it back to base or by destroying it. Your gang car will automatically be returned to your base after a short period of time if it is unattended by the opposing gang. You must have both gang cars at your base to enable a successful capture. The first gang to reach the Score Limit or make the most captures within the Time Limit wins the game. The Hit List - Fact: pet peeves kill people. Especially when your peeve is people. Street Rage - Darling, just taking the car out for a spin, stretch the legs a little! Players must drive through the checkpoints to get to the finish line first. Players are allowed to change vehicles and shoot other players to win the race. Players will be automatically re-spawned in a vehicle on the track after a short period of time if they do not have a vehicle or if they have been killed. The player that finishes the race first wins. Sticky Tires - Improves vehicle handling for limited time. Instant Repair - Instantly repairs vehicle. The Wedding List - If it were possible to marry yourself, this would be the perfect wedding gift. Tanks for the Memories - Make your friends jealous, so jealous that they want to destroy you? Players must try to survive as long as possible if they are inside the tank to try and reach the target Tank Time. Other players who are not in the tank must try to destroy the tank as quickly as possible. The player outside of the tank who inflicts the most damage to the tank will be spanwed inside the tank in the next round. There is only one tank per round. In the first round, all players will have the same chance to get to the tank for the first time. Once the tank is occupied, the player who causes the most damage to the tank will be placed in the tank for the next round. The first player to reach the target Tank Time of remaining inside a tank wins the game. Pink represents the sniper rifle. Pickups are represented by red stars, and so on. Pickups include "invisibility mode", which means you won't show up on your opponents radar but still appear in-game, and then there's "mega-damage" which makes your weapon 4x more powerful. In addition, there is also "Frenzy", which gives you a rocket launcher and unlimited ammo, but only for a limited period of time. Liberty City is a big place, and getting from one side of town to another can take a long time. Because of this, and to maintain fast gameplay, Rockstar have added "unlimited sprint" which means you never get tired whilst running.